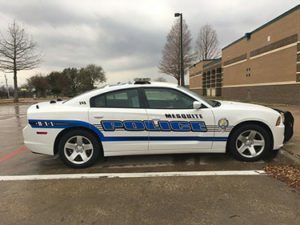 If you were recently involved in an auto accident that required the Mesquite Police Department, you have two options to access your Mesquite car accident report. Car accidents can become an important part when filing a personal injury claim so it is important to keep documentation on such events. Your first option will be to pick up a copy of your Mesquite car accident report in person at the Mesquite Police Department Records Section, which is located at 777 N. Galloway Ave. Mesquite, TX 75149. Here, you can purchase a copy of your Mesquite car accident report for $6. Keep in mind, that reports cannot be purchased over the phone and it is a good idea to call ahead, you can reach them at (972)-216-6759. Their office hours are Monday through Friday, 8 am to 5 pm. We’ll get your MPD accident report for you. Just provide the details of your accident, and we’ll track down your Mesquite accident report and email it to you. Afterward, send a self-addressed envelope and a check or money order payable to the City of Mesquite for $6. It is important to note, that you should not send cash in the mail. They will not accept this payment and it would delay the process of receiving your Mesquite car accident report. If you were involved in a car accident recently and suffered injuries from it, you should take advantage of a free case review from our Texas Injury Lawyers to receive compensation for your injuries. Our professional team will give sound advice on getting you the most out of your car accident claim.